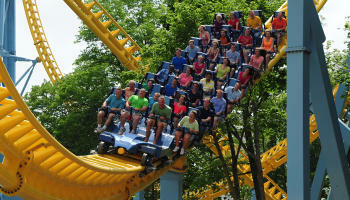 Are you planning an upcoming trip to Central Pennsylvania? Make Cumberland Valley the home base for your getaway and be right in the middle of the action. When you book your stay, you’ll be a short 30- to 45-minute drive from Hershey, Harrisburg and Gettysburg. And with a variety of lodging options to fit your style and budget – from hotels and quaint B&Bs to campgrounds and a world-class resort -- Cumberland Valley is an ideal location to rest your head after discovering all the region has to offer. Need some quiet time instead? ZooAmerica features more than 200 wild animals of North America including a mountain lion, an American elk, and a gray wolf. Look for the live animal encounters taking place throughout the zoo. If shopping is more your thing, find discounts and deals at the Tanger Outlets of Hershey. With more than 50 stores, you can be sure you will have an amazing shopping experience. If you are coming to Cumberland Valley for a car show, plan to spend time exploring the Antique Automobile Club of America (AACA) Museum. With vintage vehicle displays (from the 1890s to the 1980s) and interactive exhibits, the museum offers family-friendly fun and a world-class automotive experience. Pennsylvania’s capital city is right across the Susquehanna River from Cumberland Valley. Begin your visit with a little history and take a guided tour of the State Capitol building. Highlights include stained glass, antique furniture and a 52-million pound dome. After this brief tour, sample the food from almost 40 vendors at the Broad Street Market, the oldest continuously-operated market house in the United States. Nearby to the Market, the 20,000-square-foot Susquehanna Art Museum in midtown Harrisburg offers engaging exhibits in four different galleries. Continue your art exploration with a visit to The Millworks, offering a “hyper-local” approach highlighting Central Pennsylvania artists as well as the bountiful agriculture of the region. With a 200-seat restaurant, craft brewery, outdoor courtyard, artist studios, and art gallery, this is a must-stop destination and a great place to start your Cumberland Valley Beer Trail journey. Before leaving Harrisburg, head just outside of downtown to the National Civil War Museum, with exhibits and presentations that emphasize the "human side" of the Civil War. The museum offers a comprehensive picture of the war and is an ideal stop before or after your visit to Gettysburg. On your way back to Cumberland Valley, stop at City Island, a unique island nestled in the middle of the Susquehanna River. 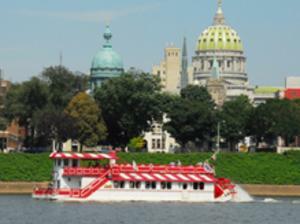 Here you can catch a Harrisburg Senators (double A team of the Washington Nationals) baseball game during the summer months, play miniature golf, picnic in a pavilion, ride the carousel, stroll the island or catch a ride on the Pride of the Susquehanna riverboat. The quickest way to travel to Gettysburg from Cumberland Valley is probably along Route 15. However, you might want to take the back roads to experience the scenic apple orchards of Adams County. You’ll find plenty of roadside farm stands, like Peters Orchards or Hollabaugh Brothers Fruit Farm & Market, where you can pick up fresh produce and home-baked goods. As you enter Gettysburg, head to the Gettysburg National Military Park and Visitors Center to plan your visit, browse the galleries and exhibits, purchase a souvenir at the bookstore, and view the world-famous Cyclorama. From the Visitors Center, you can head off on your own with a self-guided car tour of the battlefield or purchase tickets for a guided bus tour. Be sure to stop at the Gettysburg National Cemetery, the final resting place for over 3,500 Union soldiers. In addition to the battlefield tour, head to the Gettysburg Heritage Center to learn how the battle affected the town’s occupants (both during and afterwards) and the Seminary Ridge Museum which was used as a field hospital during the battle. 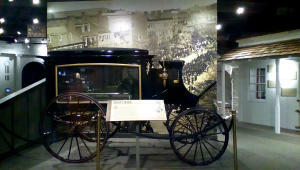 Gettysburg is also a hotbed of ghostly activity and there many options for visitors seeking a paranormal experience. After you’ve had your fill or history (and ghosts), relax with wine tastings at Hauser Estate Winery, Reid’s Orchard & Winery, and Adams County Winery. Each offers a robust selection of red and white wines and ciders plus live entertainment. While here, be sure to explore some Cumberland Valley highlights as well including the U.S. Army Heritage & Education Center, the Cumberland County Historical Society, the Appalachian Trail, our three state parks, and our vibrant downtowns. For brochures, directions, and ideas on places to eat or things to do, please stop by our Visitors Center where friendly volunteers can offer suggestions.